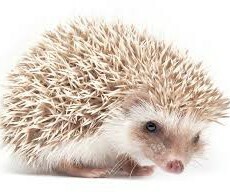 During the winter months we tend to feel like hibernating…similar in the way that little Hedgehogs go into sleep mode. Why don’t you improve your skin conditions and address your skin concerns by doing something that will not only give you that “rested look” but will also help your skin with fine wrinkles, uneven texture and sun damage? Winter is the perfect opportunity to address these concerns and still have some time to hibernate. 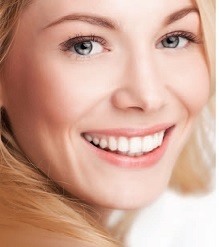 Let us have a closer look at the Pearl Laser Procedure. The Pearl procedure combines resurfacing lasers with gentle and safe non-invasive procedures to treat aging and sun-damaged skin. Pearl reduces fine wrinkles, uneven texture and sun damage with fewer treatments and less overall recovery than other technologies to provide a healthy, pearl-like glow. During the procedure, the top layer of skin is treated with pulses of light in a pre-selected pattern. The laser simultaneously sends heat to the deeper layers of skin to provide longer-term benefits. A natural protective dressing forms on the skin to minimize downtime during the restorative process. On day 3 or 4, this natural dressing will peel or slough off, revealing new, healthy, vibrant skin underneath. In a short time, patients will notice overall skin clarity, smoothness and softness – all from a 15 minute treatment with only 3 – 4 days of “social” downtime. The Pearl treatment feels like a series of brief pinches. On a scale of 1-10, with 10 representing pain, most patients report the treatment feeling like a 2 or 3. Pearl offers an effective treatment to address fine lines, uneven texture and discoloration without wound care and lengthy downtime seen with certain Erbium and CO2 laser procedures. What better way to shed some of those unwanted wrinkles during the hibernation months?